Kathleen Daly Kline is the President and sole owner of IWC. Kathleen established IWC in 2010, in part to respond to a request by a client to provide health care outreach services in the State of Indiana. Since 2010, IWC has grown to include a team of 10 professional outreach consultants. Kathleen holds a Masters of Science in Counseling and Human Services from Indiana University and a Bachelor of Arts degree in Political Science, with a minor in Sociology, from Bowling Green State University. She is also a State-licensed school counselor in Indiana. During these years, Kathleen worked with First Steps, Healthy Families and local community schools. Prior to moving to Indiana with her family in 1997, Kathleen worked in Washington D.C. as Chief Clerk on the United States Senate Subcommittee on Information & Regulation, a Subcommittee of Senate Committee on Governmental Affairs. Kathleen worked in the Senate for 5 years before moving on to the American Humane Association where she worked as a legislative analyst for three years. Kathleen worked in the Northwest Region on behalf of MDwise Inc. from 2001 through 2010. 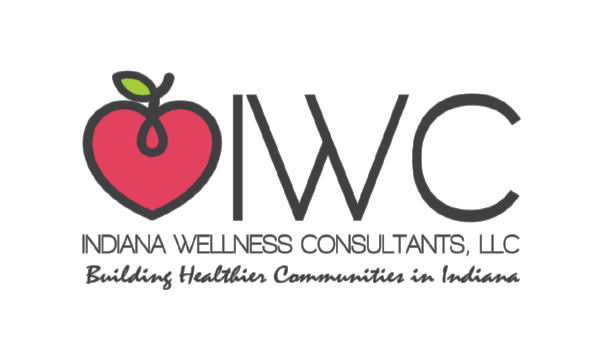 In 2010 she founded Indiana Wellness Consultants, a state certified Women’s Business Enterprise. Kathleen is currently is an active Board member of LIFT, an organization through the Marshall County Community Foundation. LIFT is a group of women working together to mentor and inspire local women seeking information, skills, and resources to better their personal and professional lives. Kim has been part of the IWC team since 2010. She currently holds a State-licensed resident producer for accident and health insurance. Kim’s formal background is in Marketing/Advertising having worked for Hal Riney & Partners Advertising Agency ( a division of Publicis Worldwide) for 9 years on Michigan Avenue in Chicago as well as McKinsey & Company, the world’s largest consulting firm at their Chicago location. Kim has experience as an event planner with the prior positions in Chicago as well as with Kim Eldridge Special Events, a local events company. Kim has also worked in marketing, events and community services for a local FQHC as well as working as an Employment Consultant with a large agency devoted to working with those who have disabilities in Northwest Indiana. Kim has certification as both an Outreach Specialist and an Employment Consultant. Kim is a member of numerous coalitions across 7 counties in Indiana and is currently on the Executive Boards of the Porter County Tobacco Education and Prevention Coalition, the Wellness Coalition of Porter County and the Purdue Extension Executive Committee. Monica has worked with IWC since 2013. Monica holds degrees in Sociology and American Studies, with a concentration in Latin America. She's multilingual and has studied in four different countries. She is a Licenced Health and Life Insurance Producer for the state of Indiana, and a Certified Agent for the Federally-Facilitated Health Insurance Marketplace. She is also trained on health and wellness topics, including HIPPA. She has expertise in treating disadvantaged and medically frail populations including women, racial and ethnic minorities, limited-English speakers, the aged, and the Deaf. As a graduate of Leadership LaPorte County, she values team-building and citizenship. While serving as Executive Board Member for Drug-Free Partnership of LaPorte County, she collaborated successfully with many partners, agencies, and coalitions. Passionate about health and wellness, Monica has over 18 years of experience in various aspects of the medical field. Monica held a position as Assistant Manager for two medical offices in New York State. She worked in various areas including front desk, billing, and inventory. In 2009 she became Intake Coordinator for HealthLinc, working closely with patients for clinic enrollment. Monica was also Program Director for El Puente Hispanic Community Center. In 2010 she served as Program Director for Covering Kids & Families of LaPorte County, where she developed the 100% Campaign to identify and assist uninsured school children. Monica also owns and operates her business as a Trained Interpreter and Translator. She offers Spanish language and culture services to schools, government agencies, social service providers, non-profits, and businesses.